ESP tables can be setup with multiple segmentation criteria and the system automatically matches the segments based on the data fields defined on the order to perform revenue allocations. Revenue Edge supports parallel Allocations under New Revenue Guidance and Current GAAP for Dual Reporting. The carve-outs and carve-ins are automatically factored in for revenue recognition based on the allocated amounts. Bundled SKUs are automatically split and allocated for revenue recognition with no manual intervention needed. Revenue Edge provides for automatic linkage of orders to form linked arrangements. There is also a linkage analyzer to analyze the orders that may need to be linked based on setup criteria. Revenue Allocation would need to be performed at the linked arrangement level when several contracts are entered into within a few days of each other. Revenue Edge can link any number of orders automatically to create a linked arrangement and the system performs revenue allocation at the linked arrangement level. The system can automatically link orders based on pre-defined criteria or based on link identifiers created in the source accounting system. The user can manually link or de link orders in the system. The system provides an anlyzer to analyze orders that may need to be linked based on criteria that may not have been previously setup for auto linkage. The user can review the recommended links and choose to link the orders. The key advantages of the auto linkage feature and linkage analyzer are that the users would not have to manually review thousands of contracts to determine which orders need to be linked for revenue recognition. Revenue Edge VSOE analyzer can be used to perform real time VSOE and BESP analysis using any data in the system. The analyzer generates results on data in multiple business stratifications defined in the system such as business units, industry segments, geography, etc. The analysis can be done on Selling Price or Discount on List Price. 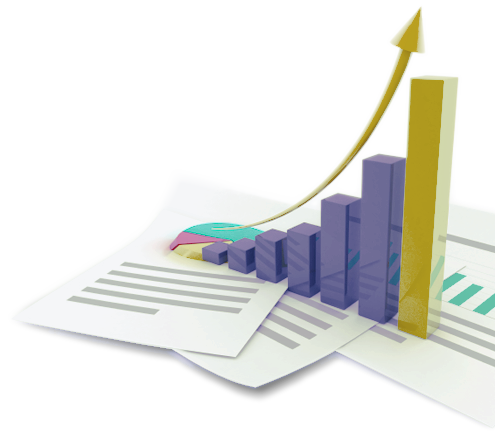 The analyzer graphs the data to show the population in different bands and users can perform sensitivity analysis within the system to better analyze the data without ever having to export data to excel. Users can continuously monitor variances between ESP and Selling Price in real time for every product SKU. ESP tables can be setup for multiple business stratifications and the system automatically matches the segments based on the data fields defined on the order to perform revenue allocations. Attain better accuracy and faster processing with complete automation. Revenue Edge automates revenue allocation and the timing of revenue recognition using varied revenue recognition rules – EITF 08-1 / SOP 97-2 / EITF 09-3 / SAB 104. The system handles automation of revenue recognition under different models – event based / timed based ratable delivery / percent complete. Event based – The system automates timing of revenue for immediate recognition or future recognition based on shipments and services that are delivered over time. Time based ratable – The system completely automates generation of revenue schedules using daily proration for ratable revenue recognition. The system automates generation of true up entries based on revisions of these schedules. Percent Complete – The system automates revenue recognition under the percent complete model (SOP 81-1) and calculates revenue for each period using estimates and actuals tracked in the system for time, materials and expenses. The system automatically calculates true up entries for changes in estimates. The Allocation module allocates the arrangement consideration to the various elements of the transaction based on the allocation method (relative or residual) defined by the user for the elements. The Revenue recognition module takes into consideration all the deliveries, contingency events, carve-outs and carve-ins to calculate the amount and timing of revenue. The revenue entries generated by Revenue Edge can be directly synched into the general ledger and no additional manual changes or reconciliations are required. Revenue Edge maintains all revenue calculations in one system, eliminating the need for spreadsheets. Field history can be enabled to track any manual intervention thus providing for better controls. The solution has a robust contingency analyzer to automate deferral and recognition of revenue based on contingencies provided in the contracts. In most systems, users must manually set the revenue release for contingency events. Revenue Edge eliminates having to manually perform this task. The contingency module can be setup to provide complete automation from assignment of contingencies on orders to timing of revenue release. The module provides enough flexibility for users to be able to manually assign and change revenue release criteria and event dates. All contingencies are automatically taken into account for release of carve-out and carve-in revenue based on the allocation among the various elements. All contingencies are taken into account for generating expected revenue schedules on delivery backlogs from booked orders. Deferred and Backlog schedules, roll forwards and reconciliations are all automated within the system. Revenue Edge automates Deferred Schedule generation taking into account all revenue recognition criteria and allocations. The Deferred Schedule ties to the Deferred Balance at any given point in time thus completely eliminating the need for any manual manipulation outside the system. The Deferred Roll forward is generated at the click of a button in Revenue Edge. Revenue Edge obviates the need for any reconciliations outside the system as the system has an inbuilt reconciliation mechanism to point out any discrepancies that need input data corrections to reconcile revenue and deferred revenue to billing. Backlog Schedule and Backlog Detail can be generated from Revenue Edge for un-billed items. Revenue Edge gives complete visibility into the entire order on both the timing and amount of revenue from a Bookings-Billings-Revenue-Deferred-Backlog perspective all in one single view. Revenue Edge provides visibility into revenue forecasts by several dimensions enabling management in budgeting and planning. Getting revenue projections correct and being within an acceptable range relative to actual results is critical for both small and large companies. Using Revenue Edge, companies are able to forecast revenue from opportunities in Salesforce. Revenue Edge can be leveraged by companies with the simplest revenue models to the most complicated ones. With the new and ongoing complexities of revenue recognition, the ability to accurately assess and forecast recognizable revenue is severely at risk. With Revenue Edge, recognizable revenue visibility starts early in the sales process providing total confidence in forecasting revenue. Current error-prone manual practices using spreadsheets or limited forecasting solutions are eliminated with Revenue Edge, resulting in a business impact by avoiding costly forecast variances while potentially enabling adding significant $ in incremental recognizable revenue. Revenue Edge also provides visibility into revenue forecasts by several dimensions enabling management in budgeting and planning. Revenue Edge Business Intelligence provides a powerful view into Bookings-Billings-Revenue-Deferred-Backlog-Forecast in one central place. All reports and dashboards are real time, giving users access to real time information the instant it is entered into the Revenue Edge system. All reports and dashboards can be viewed any time, anywhere and on any device thus giving executive management the power to view the most critical data as and when needed. The added advantage with Revenue Edge is that Sales Management can view revenue data on the go in the same instance as Salesforce CRM – pipeline, forecasts, revenue recognized and revenue backlog are all available in a single view. Using Revenue Edge BI, data in the system can be aggregated and reported in any dimension and all historical data is available for report generation.